At Clocks247.com, we have always believed that some things just don’t go out of fashion, and wooden clocks are definitely on that list. But do you know why they are evergreen? That’s because they bring back the old world charm that we often miss. 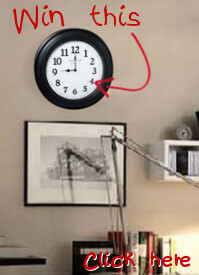 With one of these clocks, you can recreate the lost magic of the yesteryears. However, if you think that everything from the past costs a fortune, probably you have been checking out all the wrong websites that offer these clocks at sky-rocketing prices. With us, it’s the other way round. Contrary to popular belief, there are more than a few typical designs of wooden wall clocks that you can choose from. One look at our selection and you know what we mean. You get to choose among different types of woods, including rosewood, oak, etc. Also, these clocks go well with both types of decors, contemporary and modern. The best part is that being uber-stylish they tell people about your distinguished taste. In fact, if seeing your neighbors turn green with envy has always been on your wish list, then these clocks can help. More importantly, they have stood the test of the time and therefore, in case of these clocks, you are not under the risk of buying something that’s outdated or unpopular. We won’t talk of our pricing because it has already been discussed, but one thing’s worth mentioning for sure: right now, many of the options are available with discounts of up to 30%. If you are budget-conscious, we are sure that our selection is breathtaking enough to catch your fancy. Rest assured as we let you see full size pictures, you can easily decide for yourself. Moreover, we have always kept quality at the forefront and that won’t change, never. If you do the math, you will agree that we offer high quality clocks at lower prices than most retailers. That said, we have these clocks in various shapes and we believe that’s another plus point. If you have some queries or doubts, give us a call at 1-855-242-0514. If you wish to write to us, send email to sales@clocks247.com.